Campsite Domaine de Lambeyran is a campsite with 130 touring pitches and 10 year round pitches. During low season, between 15-05-2019 - 07-07-2019 and 26-08-2019 - 29-09-2019, the nightly rate is €18,- at one of the 130 touring pitches at Campsite Domaine de Lambeyran in Lodève (Hérault). At this campsite you can not only use your CampingCard ACSI for inexpensive camping, you can also use your ACSI Club ID (as an alternative ID). Flanked by wooded hills, this extremely peaceful campsite is ideally suited to the enjoyment of naturism to the full. 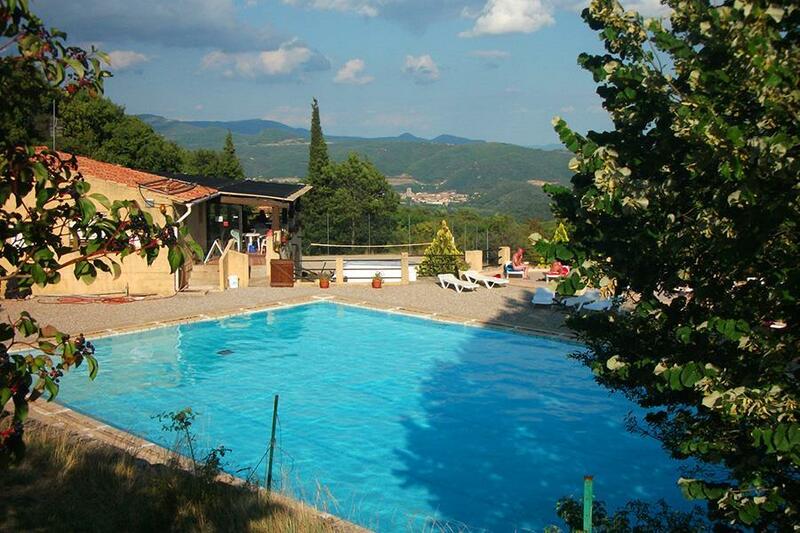 Would you like to book Campsite Domaine de Lambeyran or request more information? You can do both using the information below. A75 to Lodève then follow direction Lunas. Turn off to L'Ambayran. Follow the D35e4 uphill to the campsite. CampingCard ACSI will send your information request to "Campsite Domaine de Lambeyran".